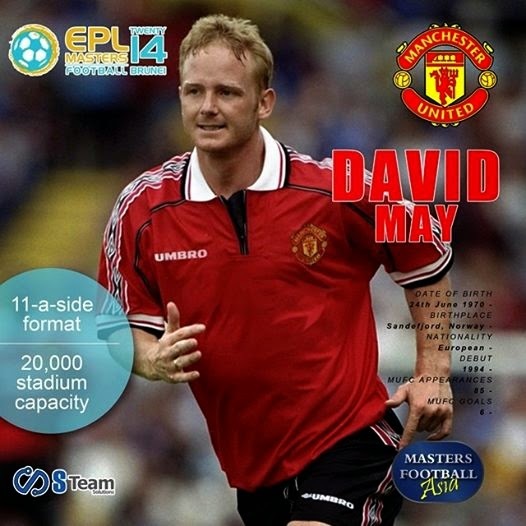 DAVID MAY an english former footballer who played as centre-back right back from 1988 to 2006 is COMING AGAIN for the THIRD time. BeSquare in Berak a part of this amazing event for this years EPL Masters Football on the 27 September at National Stadium. You may now purchase your tickets at socialmart.com.bn or visit S-Team Solutions office at BT Complex just exactly opposite Times as.